The car was a Euro-delivery from Zuffenhaussen that was dropped at Vitorio Strosek’s facility in Utting Ammersee after a short break-in period on German, Swiss, and Austrian roads. The car was first concoured at the Oklahoma Parade in 1996 and shown & driven much since. Mods were too numerous to mention however the exterior was all original Strosek. This 2001 Twin has undergone several seasons of modifications ranging from interior, suspension, driveline and engine. Not recently dyno’d but last estimates place her close to 600 at the crank. She undergoes a metamorphosis when track weekends approach, but on the street she’s not your typical TT. Imported to U.S. market 1986 & 87 (this car). Only a few hundred yet on the road. In Europe the car ran the competitive DTM race series from 1985 with MB working with Affalterbach till a full factory race commitment in 1998 and 2.5 replaced 2.3. Five speed (Pcar shift pattern) by Getrag...Cosworth double overhead cam….1st 4valve head for MB production cars...Bosch KE-Jetronic fuel injection...10.5.1 compression ratio to forged pistons and sculpted tubular four-into-two headers. Fun car with incredible low end torque, actually 260 lbs lighter than a stock 190. This AMG is custom blacked-out so there are few chrome highlights to disturb her simple lines. 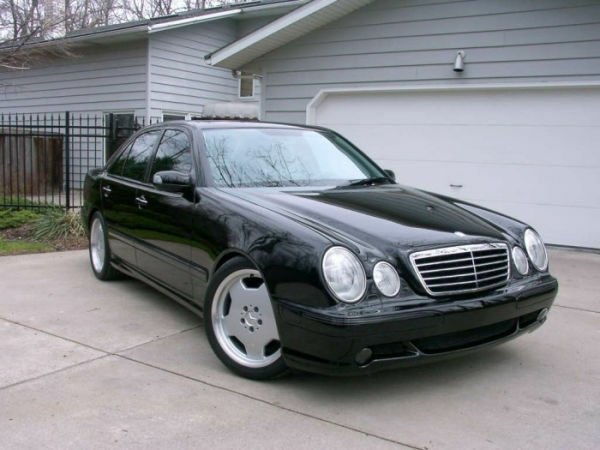 Euro suspension and many subtle mod details add up to a personalized E55. 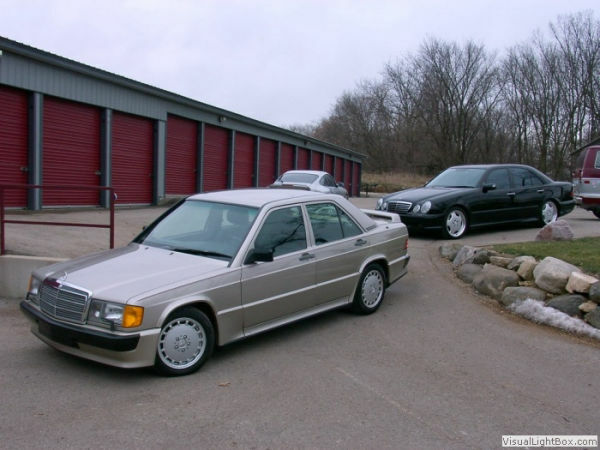 A product of the AMG Skunkwerks Affalterbach, Germany......about an hour Northeast of Stuttgart....where AMG engines, drivelines, brakes, and aero chassis mods are completed before shipment back to MB in Munchen. The signature on the engine plate reminds us of the 'One man, one engine' AMG mantra... a single AMG technition responsible for the build of that single E55 engine. 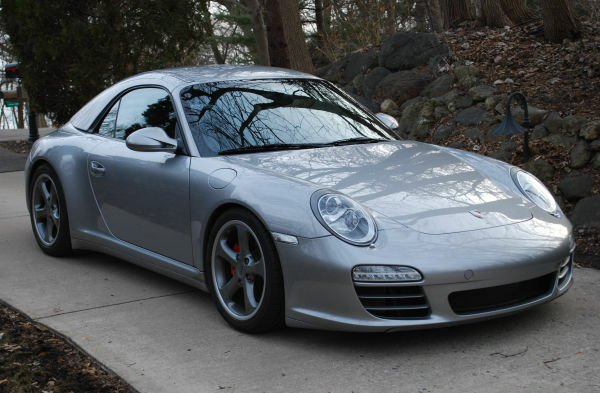 With a Porsche Turbo 5 speed tip transmission, she's one of the fastest cars on the road with 4 doors. 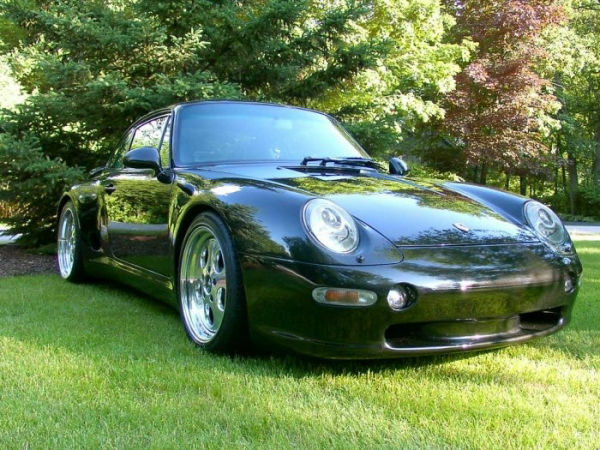 The 986 was a 1993 design study from Geneva... and this particular car was one of the first 986's in our market and the deposit sat in place for three years before delivery. The car was modded for the wife and, with a little work, she turned out very nice. Mid-engine Boxsters and Caymens are a joy to drive. They are, without a doubt, true 'sports cars'. Boxster is a Porsche ‘model’ (the cab version of Caymen) and the word was a convention invented by Porsche (roadster+boxer). Boxer engine is the flat six horizontally opposed cylinders 3 boxing 3 that configuration as old as Porsche itself. Dr Porsche striving to get lowest center of gravity for early 356 & then 911. As a mechanical engineer... asked once where the ideal center of gravity would be in the ideal design... his answer... ’below the pavement’. 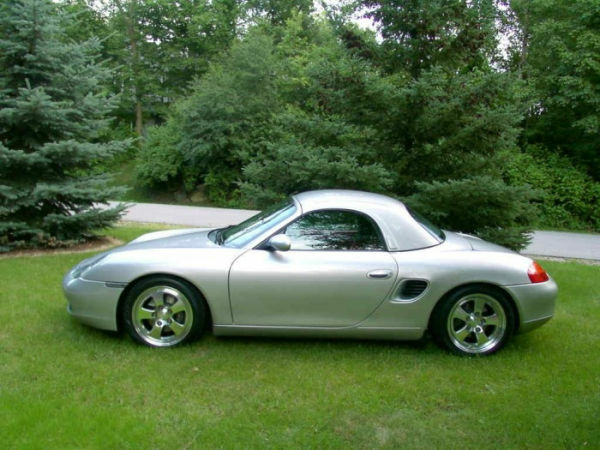 Designed as the wife's second ride (and my fun on the weekend) she was set up to simply be a very pretty Porsche and certainly fun to drive. 10mm PASM and dropped another 20mm with full Bilstein Damptronics. Custom body and wheel paint all around, plus some camouflage that makes it difficult for the casual eye to realize that she is a C4S. Under the skin a 997II C4S uses a 3.8 Direct Injection 385HP boxster engine, 4 valves per cylinder with continuous variable inlet timing... very smooth. Porsche®, Carrera, Targa, Boxster, Cayenne, and the Porsche Crest are copyrighted and trademarks of Porsche AG, as is AMG trademark of Mercedes Benz. 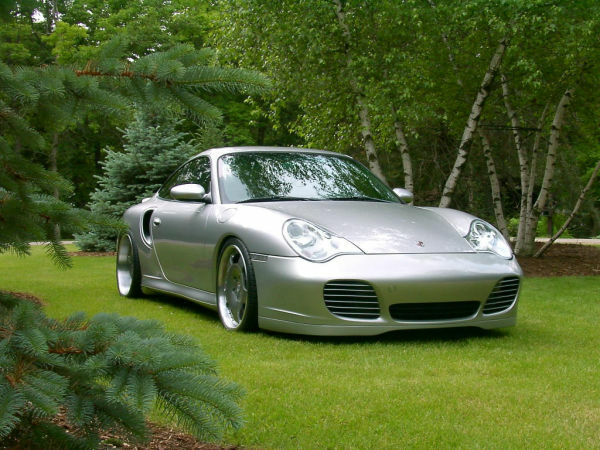 DrivingFanatic.com is not in any way associated with the Porsche AG or PCNA, or Mercedes Benz.